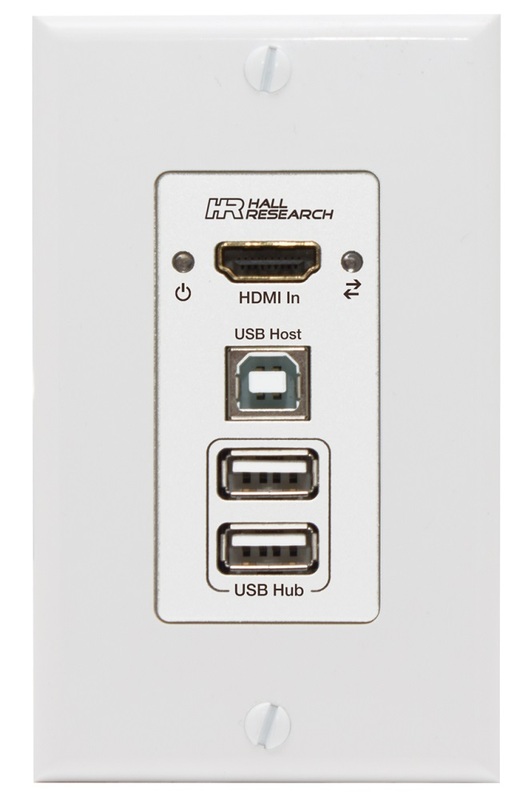 Hall Research CEO Ali Haghjoo discusses the patented Hall Research EX-HDU HDMI & USB Single Wall Plate Extender. 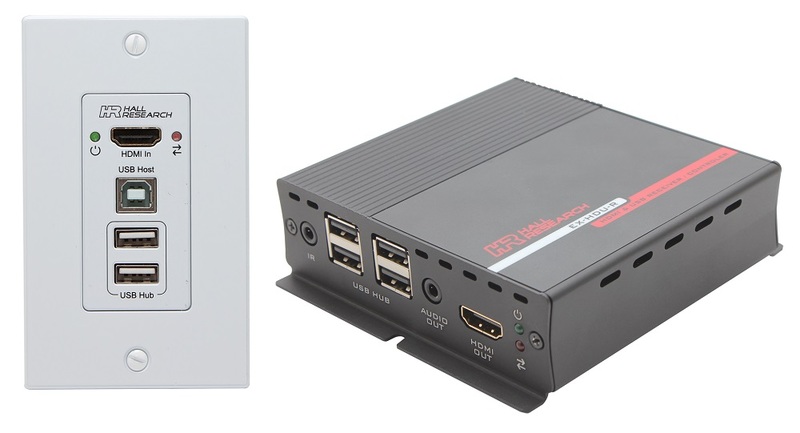 Hall Research EX-HDU HDMI & USB Single Wall Plate Extender has earned a U.S. Patent. Hall Research, a Tustin, Calif.-based maker of signal management equipment for the commercial audio-visual and digital signage market, has been granted a U.S. patent for the Hall Research EX-HDU HDMI & USB Single Wall Plate Extender. The patent was issued on December 11, 2018. 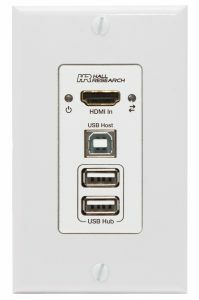 The Hall Research EX-HDU is an HDMI and USB extender comprised of a single-gang Wall Plate Sender and compatible Receiver, according to the company. The product uses a single Cat 5/6 cable up to 200 feet long. HDMI audio is extracted and is provided both as analog stereo and multi-channel digital. 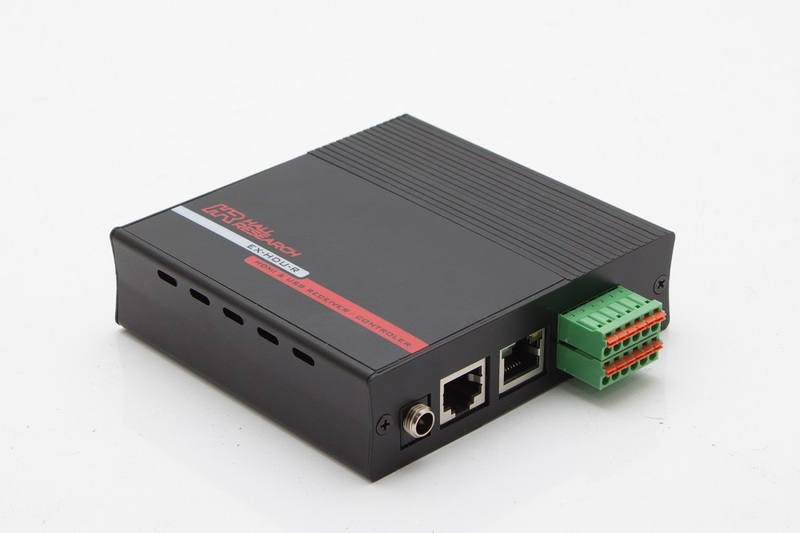 The Receiver can also be used to control other equipment by providing programmable contact closure I/O, RS-232 and IR outputs. 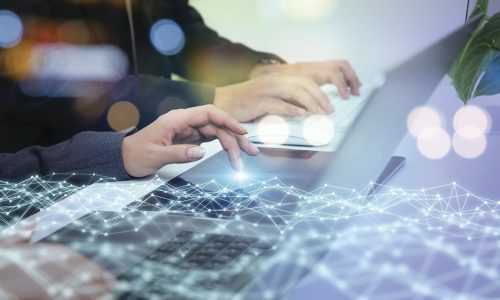 Receivers with LAN connectivity are also available offering integrated user configurable WebGUI and IP control. “Our engineering prowess is second to none in the PRO-AV space,” says Ali Haghjoo, CEO, Hall Research. According to a press release by Hall Research, the patented wall-plate gets its power from the receiver via the same UTP cable and for convenience integrates a USB hub with two USB ports. The plug-and-play extender does not require driver installation and is compatible with all PCs, MACs, and Android devices. Users can upload RS-232 commands to the EX-HDU to control other equipment such as turning a projector on and off. Commands can be triggered automatically by detecting video, or manually via the internal WebGUI, or by sensing open and close contact events on the I/O ports. For example, a simple toggle switch can be connected remotely to activate RS-232 commands for turning a projector on and off. The I/O ports can be configured to act as INPUTS or OUTPUTS. When an I/O port is configured as OUTPUT, it can trigger relays, for example to lower or raise a motorized projector screen. This product, according to A.J. Shelat of Hall Research, is an excellent solution for conference rooms, class rooms, houses of worship and some Kiosk applications in digital signage.